50% OFF SALE FOR A LIMITED TIME ONLY!!! 6 bestselling adventures for under $5 USD = TOTAL BARGAIN! Notice: NOW IN HARDCOVER PRINT!!! 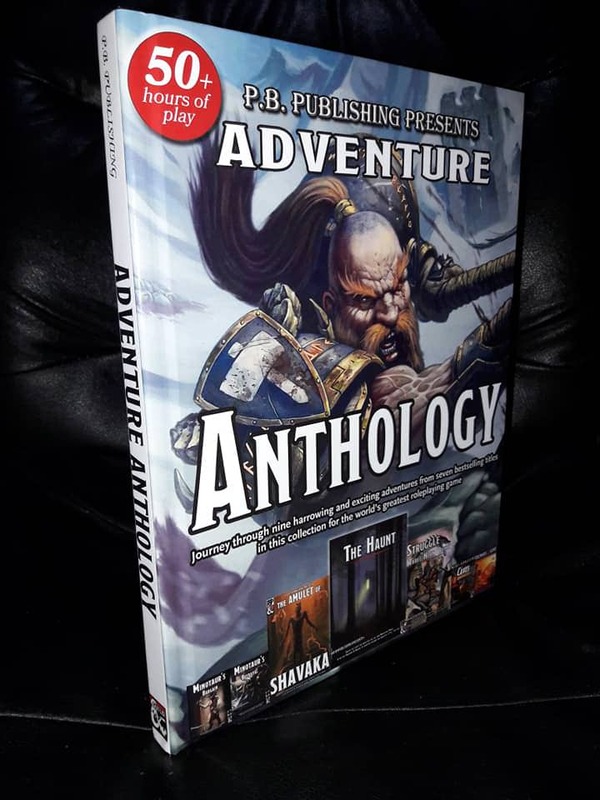 This is the 2016/17 collection of adventures released by P.B. Publishing. 1. The Haunt: Our flagship adventure! Platinum Best-selling, featured and showcased in Dragon+ Magazine. 2. 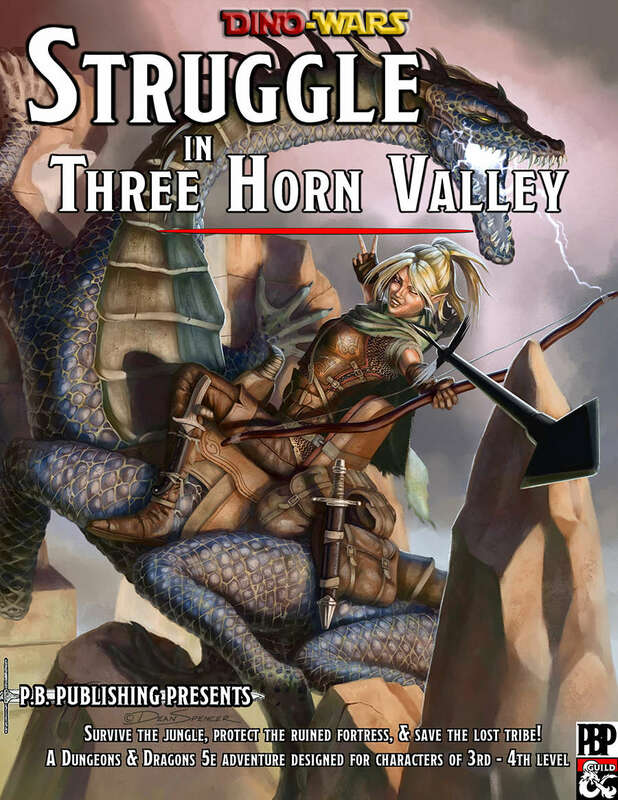 Struggle in Three Horn Valley: The perfect adventure to introduce your players to Chult and Tomb of Annihilation! The Lost Island of Selu, hidden deep in a magical fog in the uncharted waters far off the coast of Chult, is inhabited by dinosaurs, lizardfolk, jungle creatures and savage tribes. The Paku tribe, who have lived in peace for as long as the eldest elder can remember, is now in danger of annihilation from a pirate menace. The Paku’s only hope lies with a small group of heroes who have washed ashore. It will be their task to help protect the good people of the Paku tribe. First, though, they must survive the wilds on the Lost Island of Selu! An incoming orc invasion, and fears that the town guard alone will not be enough to fend off the hoard. The town’s survival sits with a small group of heroes who are now challenged with the task of forging an alliance with a nearby settlement of minotaur. That challenge is only just beginning, however, as the heroes are thrown into the minotaur training arena, let loose with minimal equipment and challenged to survive the traps, skill challenges and confrontations in order to prove their honor and courage. They will need their wits, out of the box thinking, and smarts to get them through these encounters! 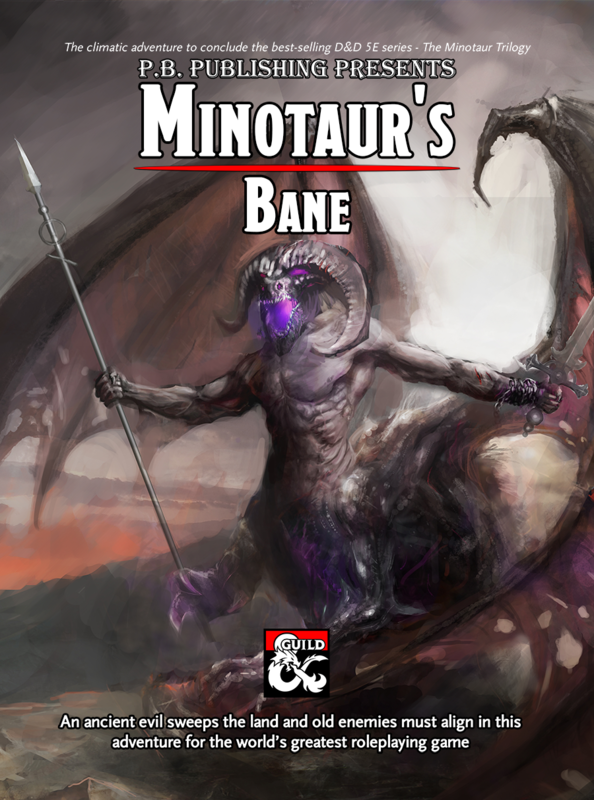 Are you prepared to take the minotaur’s bargain? 4. Mini-dungeons Caves 1 - Lizardfolk Tunnels: Also found in Struggle in Three-Horn Valley. 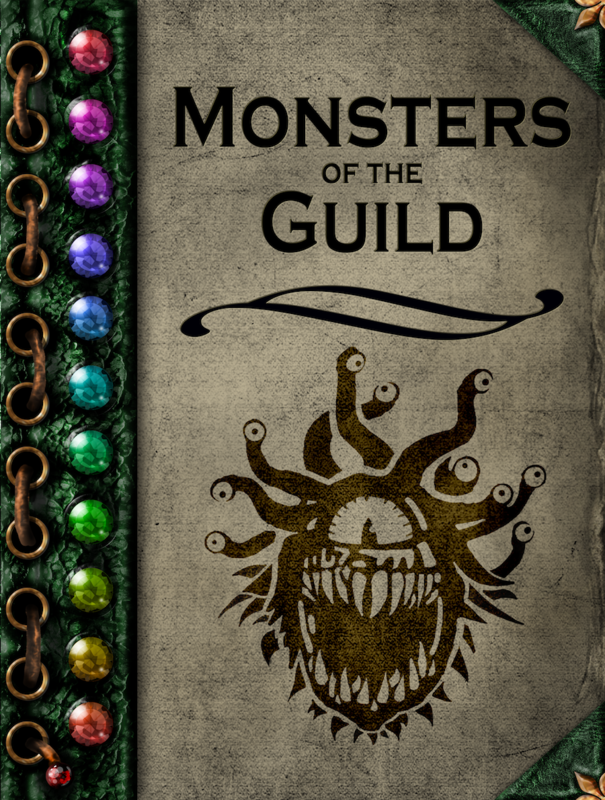 A collaboration with Chris Bissette from Loottheroom.uk, this is the first in a series of 3 mini-dungeons designed to easily tie-in together for a mini-campaign. As the heroes make their way through the wilderness they come across a screaming human woman. She pleads with the heroes to save her son and daughter who have been kidnapped by ‘lizard-men’ and taken deep into a cave. This is a rescue mission as the heroes must brave the damp and manky tunnels of the Lizardfolk, save the children and escape to return them to their mother. 5. Mini-dungeons Caves 2 - The Cavern of One-eye: A collaboration with Chris Bissette from Loottheroom.uk, this is the second in a series of 3 mini-dungeons designed to easily tie-in together for a mini-campaign. 6. Mini-dungeons Caves 3 - The Lair of Frostingbite: A collaboration with Chris Bissette from Loottheroom.uk, this is the final in a series of 3 mini-dungeons designed to easily tie-in together for a mini-campaign. In the epic finale of the Mini-dungeons series snow-oxen are being stolen from the farmers of Sleet-Town, tracks lead into the ancient and abandoned mine shaft within a nearby mountain. 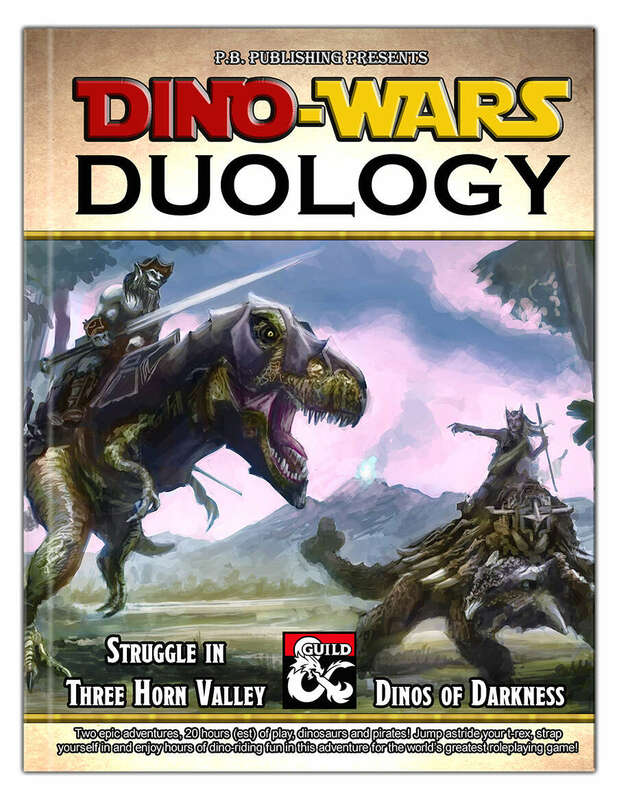 Killer Kobolds, Quaggoth slaves, and a ferocious White Dragon await. 7. Minotaur's Betrayal: A collaboration with the super talented JVC Parry, and the second in the Minotaur Trilogy! After completing a daunting run through the Minotaur arena, the heroes return to protect the town with a contingent of Minotaur warriors. Little do the heroes know, the orc horde they intend to fight have made partnered with Minotaur traitors. The Minotaur settlement is now at stake, and a valuable artifact has been stolen. The heroes must brave the orc encampment and take back what rightfully belongs to their newfound allies. 8. 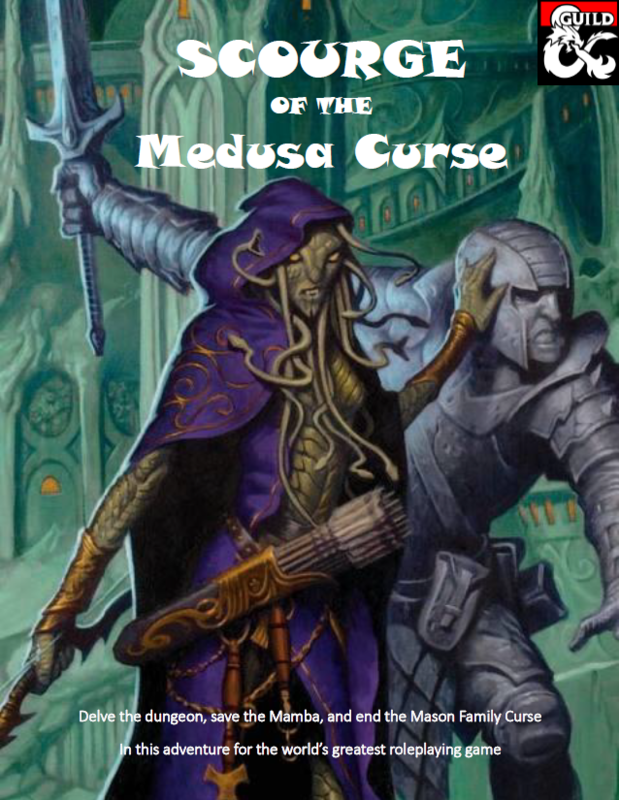 The Amulet of Shavaka: A Halloween and Egyptian inspired dungeon crawl. The heroes have been offered a mission; enter the Tomb of Shavaka at the edge of the desert and retrieve the lost Amulet of Shavaka. The amulet was last to be seen, many years ago, disappearing into an ancient tomb deep within the desert, around the neck of a daring adventurer in search of the wealth of a long-dead king. It and its wearer were never seen again. They say that the undead now walks the tomb's passages and no local villager will go near it. Are your players ready to enter the tomb in search for the Amulet of Shavaka? 9. 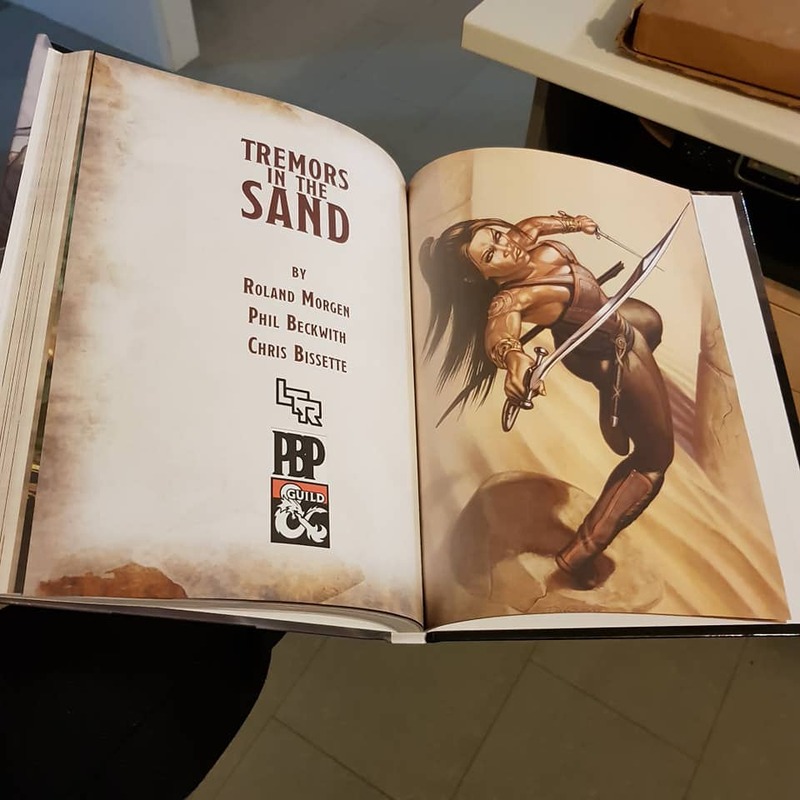 Tremors in the Sand: A desert based, Yuan-ti adventure! Tremors have been heard and felt in the hot sands of a desolate and dangerous desert. A gifted mystic named Ilishara has received a vision from the dark powers to which she dedicates herself. This vision has beckoned her to summon the most destructive creature known to exist on this plane; the tarrasque. 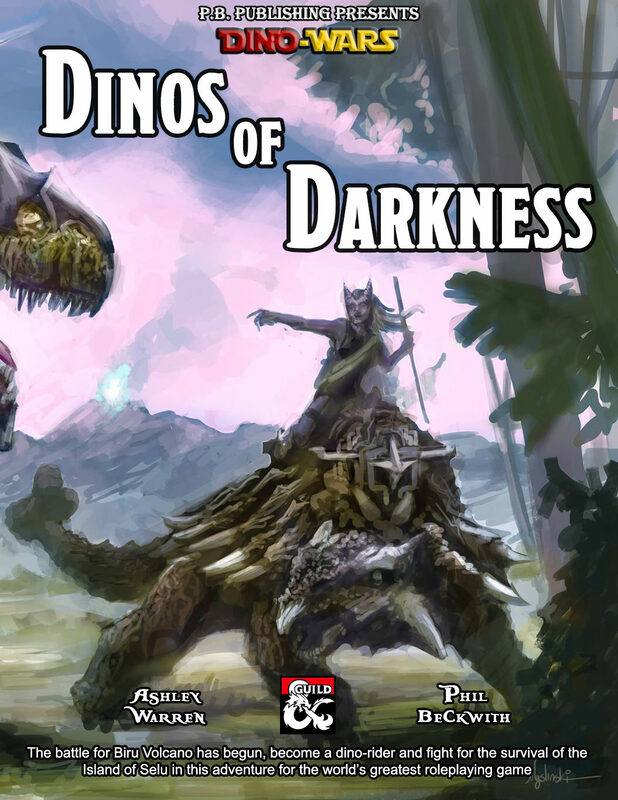 The beast lies beneath the sands of the desert, as Ilishara attempts to awaken the tarrasque from a small desert ridden temple with the aide of a tribe of Yuan-ti. Can your players prevent the awakening of the world breaker? 10. Bonus PDF only Adventure: Something Smells Fishy - Our very first adventure, where you can see the beginings of P.B. Publishing. 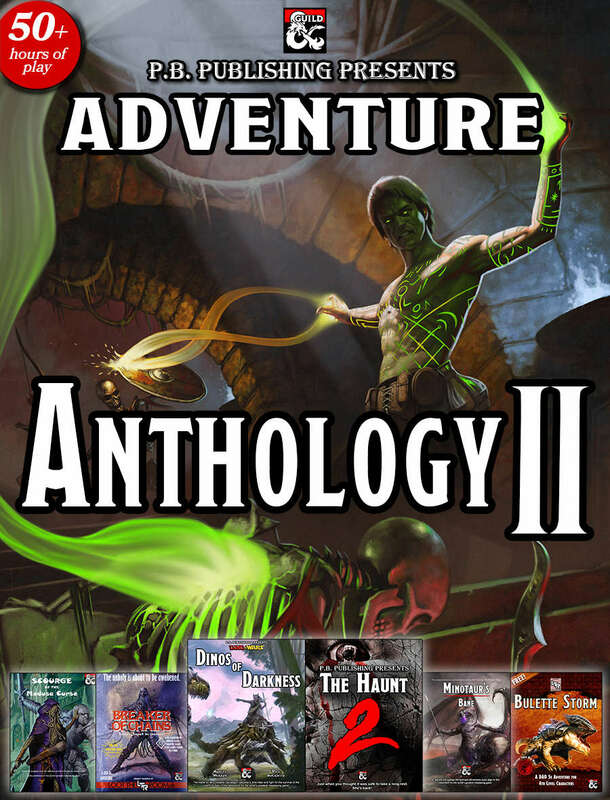 CLICK HERE to get Adventure Anthology II now for another 50% off, 200 page, 50 hours of game play bundle!